PHAR has been appointed by Ricoh to activate the company’s five-year partnership with Premiership Rugby. The deal brokered by PHAR in 2014 saw Ricoh become the Official Document Services Partner to Premiership Rugby, with the partnership providing a great opportunity for Ricoh to educate rugby fans on the company’s technical ability and IT expertise. Some of the partnership assets are already in place this season, including in-stadia branding via LED perimeter boards and the Ricoh Premiership Rugby Golf Day that took place on April 15th at Stoke Park with the likes of Matt Banahan, Mark Durden Smith and Shaun Perry in attendance. 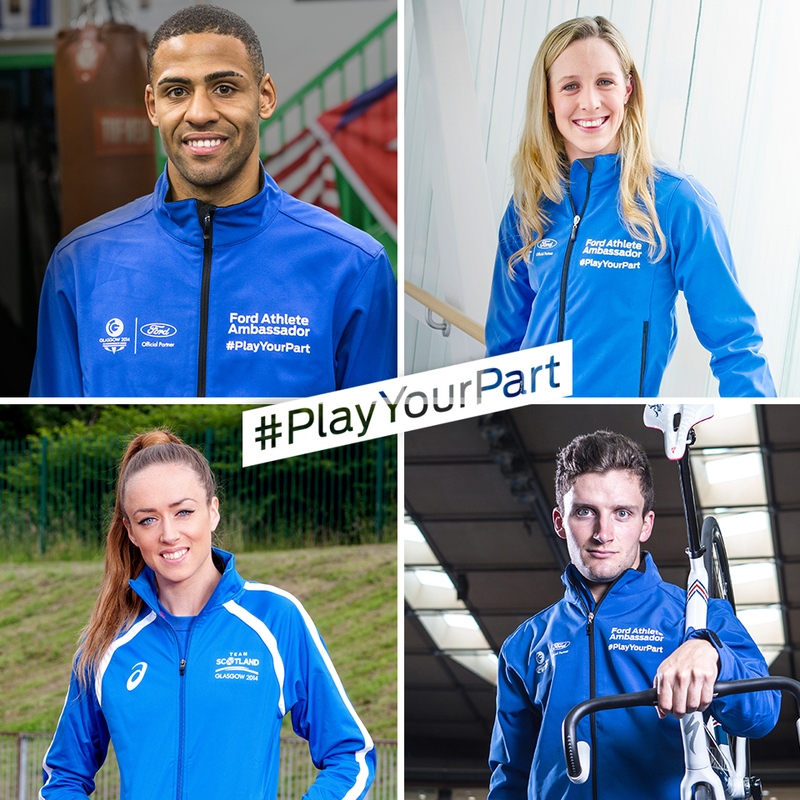 PHAR have been working with Ford, the Official Automotive Partner of the Glasgow 2014 Commonwealth Games, to deliver #PlayYourPart – campaign, the aim of which has been to raise the profile of the Home Nations teams, and encourage supporters to get behind their ‘local’ athletes, whilst promoting participation, interaction and support through Social Media during the Games build-up and throughout the event. PHAR’s role has been to identify the right mix of athletes representing all Home Nations and a variety of different sports and backgrounds, lead on contract negotiations and athlete relationship management including assisting with organising athlete appearances and managing content approvals. The final ambassador team consisted of the following athletes: Hannah Miley – London 2012 Team GB swimmer (Scotland); Katie Kirk – 800 meter runner (Northern Ireland); Eilish McColgan – 3,000 meter steeple chase runner (Scotland); Lewis Benson – 2012 British Light Welterweight Boxing Champion (Scotland); Kristian Thomas – London 2012, European and World Championships medallist in gymnastics (England); Aled Davies – London 2012 Gold medallist and a double World Champion F42/F44 discus thrower (Wales); Sasha Corbin – England International Netball player (England) and Callum Skinner - British track cyclist and Sprint Champion (Scotland). Overall the Ford ambassador team won two Gold, three Silver and one Bronze medal in Glasgow and generated thousands of interactions between Ford and the general public on Social Media. Following STIHL’s announcement last week that it has renewed for a seventh season as a sponsor of the MCE British Superbike Championship, PHAR is delighted to announce its appointment as the company’s activation and consultancy agency for the 2014 season. PHAR will work closely with STIHL to advise on all areas of the sponsorship, as well as aiming to maximise the exposure and impact of their British Superbike Championship sponsorship by executing a strategic local and national media campaign around the season’s 12 rounds. PHAR will be working with leading publishers and media outlets to create exciting content and competitions for Superbike fans all over the country.